With the start of British summertime, it’s high time to carry out a full audit of CCTV systems and intruder alarms to make sure you’re well equipped to stay safe and secure as the nights get lighter. The changing seasons trigger a surge in attempted burglaries – once at the start of winter as some thieves prefer to operate under cover of darkness when the sunsets occur earlier in the day, and once at the start of summer for exactly the opposite reason. Later sunsets and lighter evenings mean better visibility for anyone trying to gain unauthorised access to your premises outside of working hours, so it’s crucial that your intruder alarms and CCTV systems are up to the task of keeping them out. Intruder alarm systems provide several important functions, acting as a deterrent to opportunistic thieves, complementing access control systems you might have in place, and alerting you to any unauthorised access overnight, at weekends, or at any other time when the premises are not occupied. Different intruder alarm systems are suitable for everything from large residential blocks to complex commercial premises, with convenient options like wireless fob operation, and we always work to create a bespoke solution that perfectly fits your needs. Motion sensor alarm systems cover interior spaces, while door and window sensors help to make sure the alarm is raised as soon as an intruder attempts to gain unauthorised access. Longer days, lighter evenings and warmer nights all add up to more thieves operating at all hours, and police forces are already warning businesses and residents to be vigilant about security. Good modern 24-hour CCTV systems can monitor your premises around the clock, with coverage of all the entry points and any hidden nooks, with high-definition surveillance footage that you can view via any compatible smartphone. This means that you are in total control of your surveillance system – and if an incident is recorded, you know that the footage will be in full HD and provide the best possible evidence to pursue the case and bring the culprit to justice. 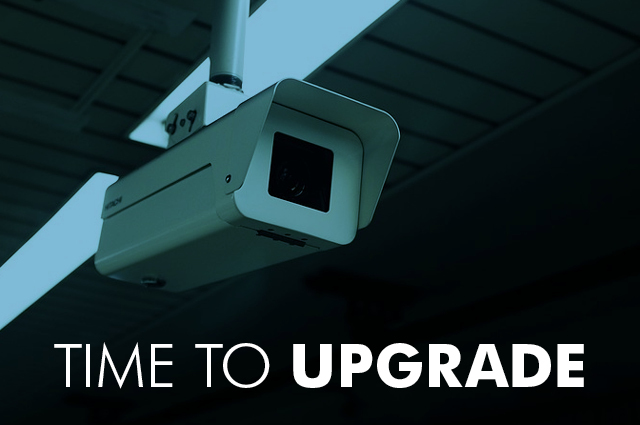 Whether you are looking to install surveillance cameras and intruder alarms from scratch or you have an existing installation that you want to upgrade ready for the coming months, we can provide free consultations and demonstrations to help you choose the right hardware for all of your needs. Remember that your security equipment should be suited for all times of year – so although you may be installing security cameras for the summer months, it’s worth considering floodlights and motion-sensitive lighting for future winters as well, along with infra-red CCTV cameras if appropriate. To enquire about the best surveillance equipment for your premises, fill in our free consultation form or call us on 0161 883 2502 and our expert team will be happy to help you choose the CCTV cameras and intruder alarms that best fit your needs, and arrange an in-person consultation and demonstration too.